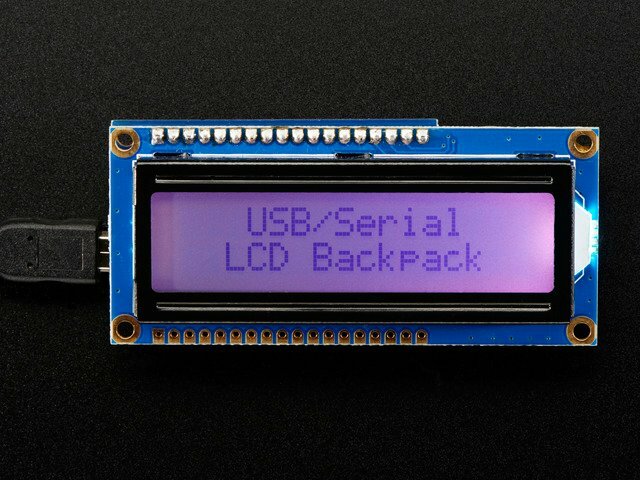 Adding a character display to your project or computer has never been easier with the new Adafruit USB or TTL serial backpack! This custom-designed PCB sits on the back of any 'standard' character LCD (16x2 or 20x4 sized) and does everything you could want: printing text, automatic scrolling, setting the backlight, adjusting contrast, making custom characters, turning on and off the cursor, etc. 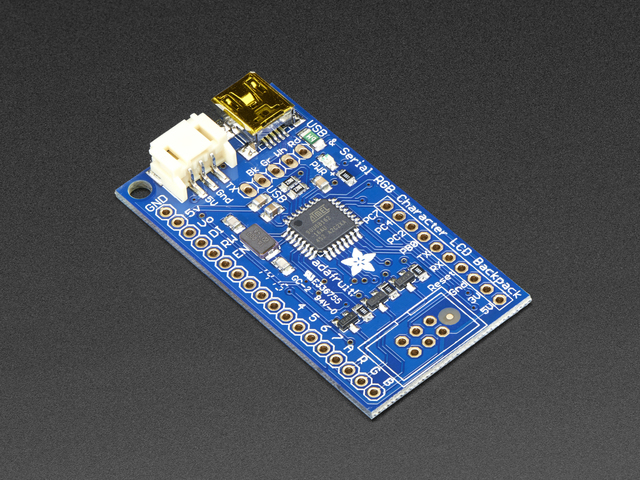 It can even handle our RGB backlight LCDs with full 8-bit PWM control of the backlight. That means you can change the background color to anything you want - red, green, blue, pink, white, purple yellow, teal, salmon, chartreuse, or just leave it off for a neutral background. The command interface is compatible with the popular "Matrix Orbital" specifications so this backpack will work perfectly with computer applications or libraries that are expecting a "Matrix" LCD. We added a few extra commands for the RGB backlight and setting the LCD size. If you don't want to use the commands, you can just start sending ASCII to the LCD and it will magically appear as typed. 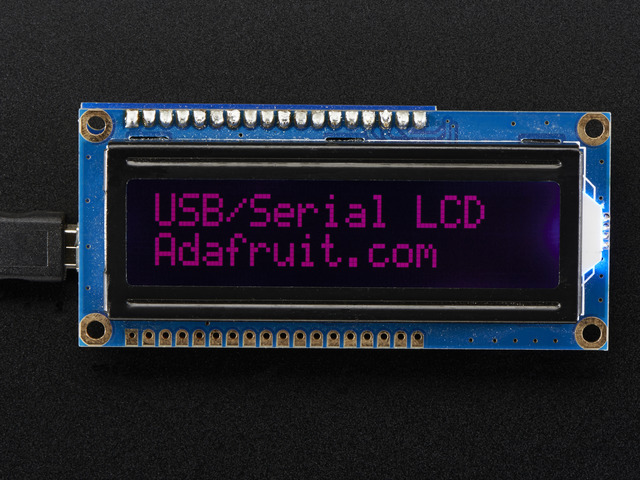 Pick up one from the Adafruit shop today! This guide was first published on Feb 06, 2013. It was last updated on Feb 06, 2013. This page (Overview) was last updated on Apr 25, 2019.